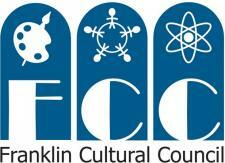 Franklin Downtown Partnership: Free Paw Sox Tickets for Members! Free Paw Sox Tickets for Members! As a special thank you for partnering with WMRC - First Class Radio on the Got Local Buy Local Campaign, we'd like to invite the Franklin Downtown Partnership to be our guest at a very special Got Local Buy Local Night at the Paw Sox this June. We've set aside 150 tickets for FDP members and families, and hope you'll join us. The game is Monday, June 13th, at 7:05 vs. The Charlotte Knights. Tom McAuliffe II -- President, WMRC- First Class Radio"
Anyone who would like tickets please stop by the FDP office in the morning this week or next. Please e-mail or call (774) 571-3109 to make sure the office is open. Each member can request up to 4 tickets for their family.